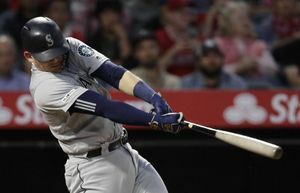 Mariners 3B Kyle Seager had his worst statistical season in 2018. Here’s what went wrong. This season was statistically the worst of Seager's career. But how much did a broken left toe affect his struggles and why wouldn't he discuss it during the season? These answers may not be verbatim for every occasion. The words may change a little, but the gist is always the same. 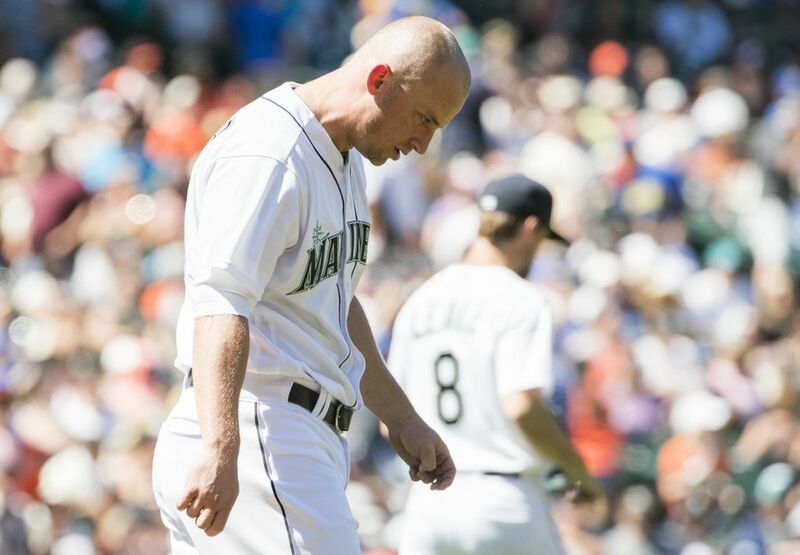 Ask Kyle Seager about an injury or a bag of ice on his foot or oblique or maybe an electronic stimulation setup on his back, and he will offer these sort of responses. Sometimes he’ll go with a deadpan tone. Other times it’s a matter of fact, but it’s never confrontational or angry. He’s not acting like a paranoid college football coach about his injuries. Often, he will relent and give a modicum of extra information. He isn’t in the lineup on this day. 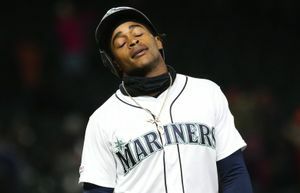 With the Mariners out of postseason contention — something he’s only known in his MLB career — manager Scott Servais has given him a day off with a left-handed starting pitcher on the mound, despite Seager’s protests. The 2018 season is a handful of days away from ending. Seager is willing to talk about his season as a whole. It isn’t an enjoyable conversation, but he understands that people demand answers for his failures. By most statistical measures, this is the least productive season of his career. After struggling in 2017, it somehow got worse in 2018. He finished the season with a .200 batting average, .273 on-base percentage and .400 slugging percentage, which are all career lows for a full season. He did have 36 doubles, 22 homers and 78 runs batted in, numbers which some players would love. But Seager is nonplussed. And when Robinson Cano was suspended and the Mariners’ offense and record started to slide in July and August with the A’s on their heels in the standings, Seager couldn’t help stop it or reverse it. He hit .200 with a .588 on-base plus slugging percentage, 11 doubles, five homers and 23 RBI over those two months. Servais won’t try to sugarcoat it. There are reasons why he struggled this season, whether Seager will openly admit to them or not, specifically health. He’s been playing hurt since breaking his left big toe June 27 at Camden Yards. X-rays revealed an avulsion fracture in his toe, where a tendon or ligament pulled off a piece of the bone. Seager was out of the starting lineup the next day, but still pinch hit late in the game. He started the next 23 games before paternity leave kept him out three days. The injury has never healed. He has played with it, refusing to go on the disabled list. Part of “wearing it” means not mentioning that it’s hurting you or bothering you when you are struggling. 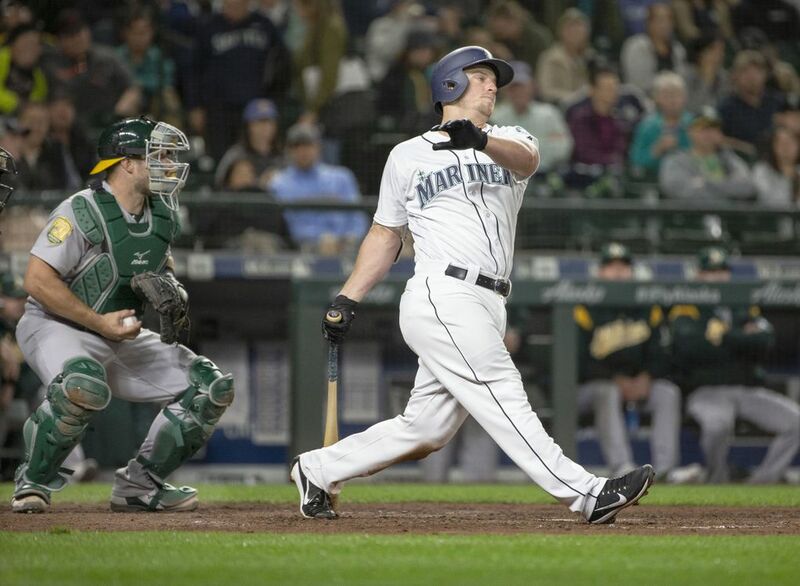 His hitting coach, Edgar Martinez, won’t avoid the subject. So did the toe affect your swing? Seager looks out at the field and begins to say something before stopping. With a look that says, “yes,” he reluctantly nods. An opposing scout mentioned that Seager had lost his identity as a hitter in 2018. He scoffs at the notion. It’s an identity that was taken from him. The toe just never allowed it. If you look at his swing in the games after the injury, the back foot stays flat on the ground perpendicular to the plate when he swings instead of rotating and serving as base for the leg drive. So he did what he had to do to try and survive and contribute. Part of that compensation was taking a swing that was absent significant leg drive and the ability backspin a ball and instead trying to hit balls to left field to beat the constant shifting he faces from defenses. Seager sees a shift in about 70 percent of his at-bats. Any assessment that the shift had finally beaten him mentally was argued against. Since he physically couldn’t pull the ball with authority with any consistency — sure, there would be an occasional fastball that he could cheat and really yank to right field — he tried to beat the shift in another way. That plan only led to foul balls on pitches he wouldn’t normally swing at, increased strikeouts, fewer walks and a ton of soft contact. He plans to end that this offseason. Once the toe heals after a lengthy rest, he will start to rediscover his real swing with his brother, Corey, in their hitting “barn.” Seager also plans to adjust his workout routine to include more flexibility and core stability. “I just want to get in there and get healthy and get back to that and get into the positions that I want to,” he said. The memories of this season will provide plenty of motivation. He knows that there is disappointment in the fan base. Once seen as a foundational player and a shining example of draft and development, the cries for Seager to be traded grow more frequent. But with $57.5 million remaining on his contract over his next three seasons, that prospect seems unlikely. His value has diminished after the last two seasons compared to what he’s owed. He’s successfully avoided social media, which he calls “filled with extremes,” and most other outlets. But his friends and family can’t escape and he’ll often hear through them. He tries to stay focused on other aspects. A bounce-back year in 2019 would certainly help him be that player.